Police departments all over the United States are looking at sports gambling with a dose of side eye. Perhaps it’s because many departments like New York City have been up to their ears in gambling and the repercussions of gambling. The police department believes that for every gambling story and gambling arrest, they make, there are thousands more just out of reach. While some police departments feel that legalizing gambling would decrease the criminal element, others aren’t so sure. In fact, some police departments believe that legalizing sportsbooks would increase criminal involvement. Police in New York City recently arrested a woman who was carrying a bag of nearly $300,000 in cash. They had been watching her for some time, as she took bag after bag of cash month after month. 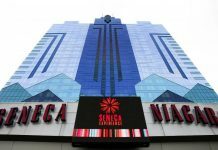 Police suspected she had been laundering money for illegal sports gamblers for as long as two or three years. The money came from an illegal internet gambling ring. The woman and a male relative were helping other relatives, from old-school books as well as internet gambling from illegal offshore sites. However, while the offshore sites are out of reach of the government, the old-school bookmakers are not. 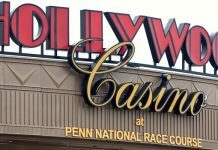 While the federal government tried to prevent offshore money coming in or moving out of internet gambling sites, it has had little effect. To police officers, there will always be people who are willing to move on easy money, and other people willing to take advantage of them. Part of the problem with trying to control the sports gaming market, currently illegal in every state except seven, is that the illegal market is a shadow market. Police officers say that many sportsbook transactions are taking place in an old-school manner. Bookies give money to runners in bags. Sometimes transactions are conducted through chips or chits, which means no money changes hands at all. In addition, small-time bankers work to launder the money through a legitimate business, and then take money out of the business to pay the bookmakers and customers. All of these possibilities mean that it is very difficult for police officers to track down a bank and catch bankers or money launderers. For every occasional bust, there will be many more bankers that do not get caught. One of the most interesting possible changes to the system will not come, according to the police, through detective work. Instead, the change will come with the passage of time. Increasingly the old-school sportsbooks are run by men and women who are approaching retirement age. As the bookie population ages out, they are not being replaced. Most of the old-school bookies are well-established in their neighborhoods, and are seeing declining business, as their customers die off and are not replaced. Millennials gamble at the same rate as older generations, but increasingly, they prefer to do their gambling online or via apps. Whether the gambling is legally done via a sportsbook in a state that has legalized sports betting or through an illegal offshore book, the business is done online. Millennials pay online, bet online and receive their winnings online. In addition, there are gambling websites that accept cryptocurrency, which make it more difficult to trace. Whether people are millennials and want to bet online or via mobile app, or they prefer to go to a neighborhood bookie, there is still the feeling from the police that organized crime, long a player in bookmaking, will continue to be involved. 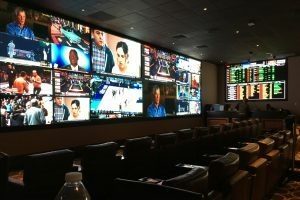 As sportsbooks have changed, organized crime has changed with it, and developed new ways to move into bookmaking business. No one in the police department feels that the legalization of gambling will change how gambling is done. Next articleWhat Is Social Gaming?